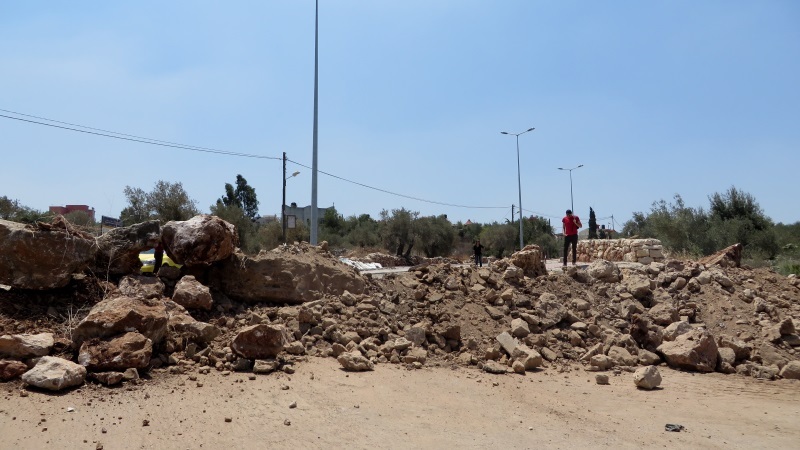 UPDATE Saturday 2 August: After more than a week of collective punishment, the piles of rocks have now been removed from Deir Istiya’s main entrance. 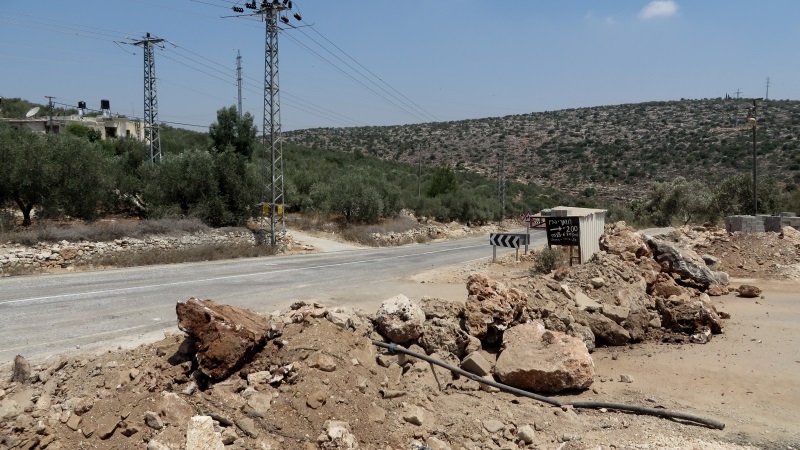 UPDATE Thursday 24 July: One day after closing off Deir Istiya’s main entrance, Israeli occupation soldiers attacked the village and kidnapped two young men. Their whereabouts are still unknown. While the Israeli occupation regime is conducting a military campaign of ethnic cleansing in Gaza, people in the West Bank are being subjected to a wide-spread collective punishment that extends to every aspect of their daily lives. At 1am in the night of Tuesday 22 July Israeli occupation army arrived in Deir Istiya (Salfit governorate) and built a wall of rocks and sand at the main entrance to the village. The road that people use to get to Nablus, Qalqiliya, Tulkarem, and the surrounding villages is now accessible only through the back roads via the neighbouring villages of Hares and Kifl Hares. The trip takes much longer, costs more money, and is a spit in the face to the Universal Declaration of Human Rights, in particular to the Freedom of Movement. The Israeli occupation claims it closed the road because children had been throwing stones at passing illegal Israeli colonist cars; there is no proof of this and even if there were, such acts on behalf of the occupation regime constitute collective punishment, which is illegal under international law. Locals estimate their main village road might remain closed off for several weeks.